I'm trying to create an application that will use MSSQL data that is created by another application. This other application is the master SQL data creator and the application cannot be changed as it is an 'off the shelf' piece of software. My new application will view this master SQL data and I want to create screens that shows this data along with new Entity data. So.... 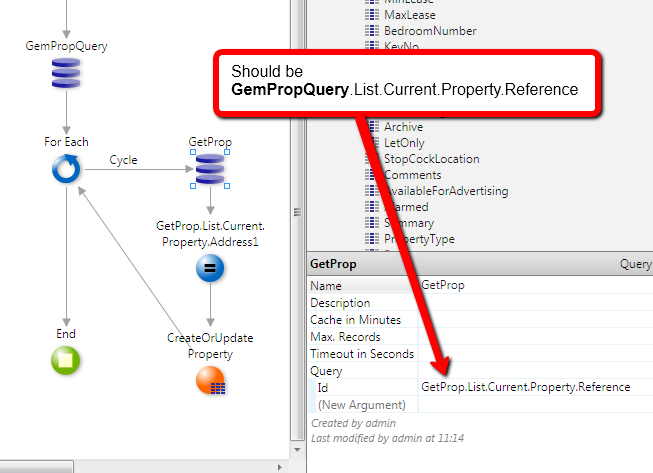 I need to copy the master data to a new entitiy so that I can work with it, my problem is - how do I keep the entity up to date with the master data? 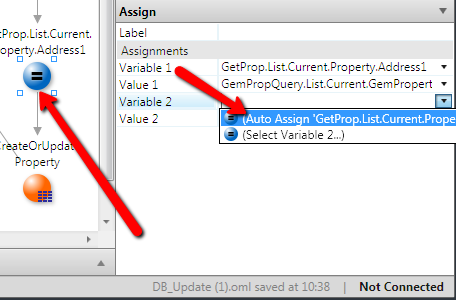 I have followed the Outsystems demo of looping through an excel file to populate an Entity and have tried to amend this to use a DBQuery rather than an excel import - see screen grab. It works, except it only brings one record in..... can anyone help me fix this so it can bring ALL the records in. Please help.... I've spent 3 days solid on this now and cannot proceed with my project until this is resolved..... job stopped..! I don't quite understand what you need to do. Do you only need to manipulate data (insert, update, delete) or do you have to mantipulate metadata (change the structure of the table) too? The first thing is already just possible with AgilePlatform. I want to display the source data - no changes, but I want to be able to display it in a grid along side new data i.e. The answer in this post suggests copying the data from the external extension and create a timer to refresh the data..... I just don't know how to do it though..! Make sure you have a condition to match the record by id correctly set in the second query 'NewDataTable' or else instead of creating several records that action will always be updating the same record. If you can upload your oml it might be easier to understand your problem and to help you. OML attached.... I guess I'm close, but I can't workout what condition I need to set to process all records rather than one. Screengrab to show where my action is. Hope you can spot my error..! Also don't forget to complete the assign with all the other values. Now I get another error... did it work OK on your PC? That is just a warning, but in reallity you want the identifiers to be kept, right? It should give another warning but again you don't need to worry about it. Another alternative, if you don't need to keep the same identifier, would be to create an autonumber id attribute in the new entity and just add a different attrbute that could be a foreing key to the record on the old table. Also to get rid of the warning, you can either Hide it (right click on the warning and Hide) or in the assign use IntegerToEntityRefInteger(EntityRefIntegerToInteger( ... )) in that assign expression. None of that will change the behavior, it's just a consistency warning to avoid mistakes. Thank you so much for all your help, I know have a working data sync.... you stopped me from going insane..!!!! João, I like the sound of your second option as it removes the error, but unfortunatley I don't understand what to do.... so I opted for hiding the message.